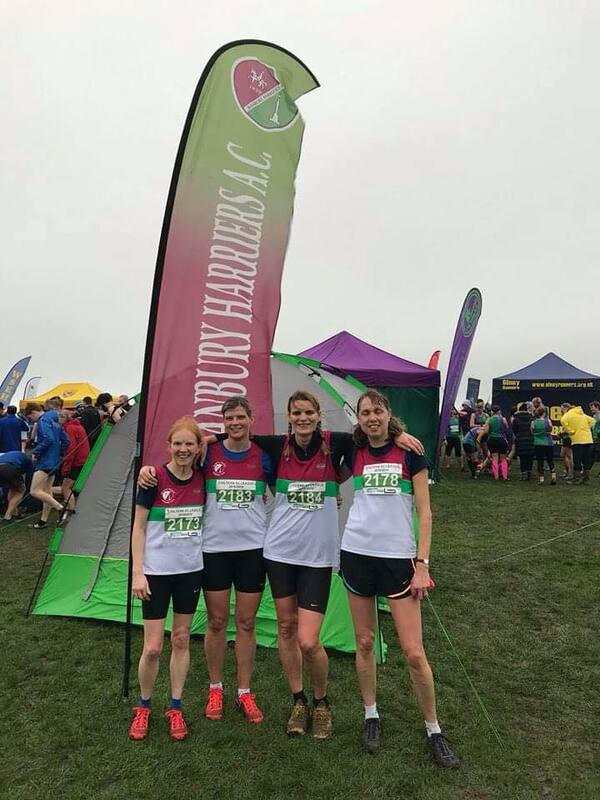 On a busy double fixture weekend 9 senior Banbury Harriers travelled to Stopsley Common, Luton for the 3rd fixture in the Chiltern League. The rain had stopped by the start of the senior womens race, and after a lap of the playing field and common land the course dropped steeply through woods and across farmland before coming back up the steepest hill we meet in all the fixtures, with steps at the bottom on the steepest part. Michelle Bartlett was the first of the Harriers ladies home, showing her strength on the hills in 35th place and 3rd F45. Ros Kelling, showing improved race fitness as the season progresses was 53rd and 2nd F55. Lisa Ansell, back after injury was 145th and Hester Pollock 163rd of the 226 finishers. This gave them 5th vet team on the day, and 5th after 3 races.